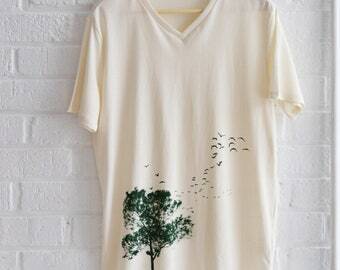 This natural / organic white T-shirt is a perfect gift for a baby boy / girl who likes nature and birds! 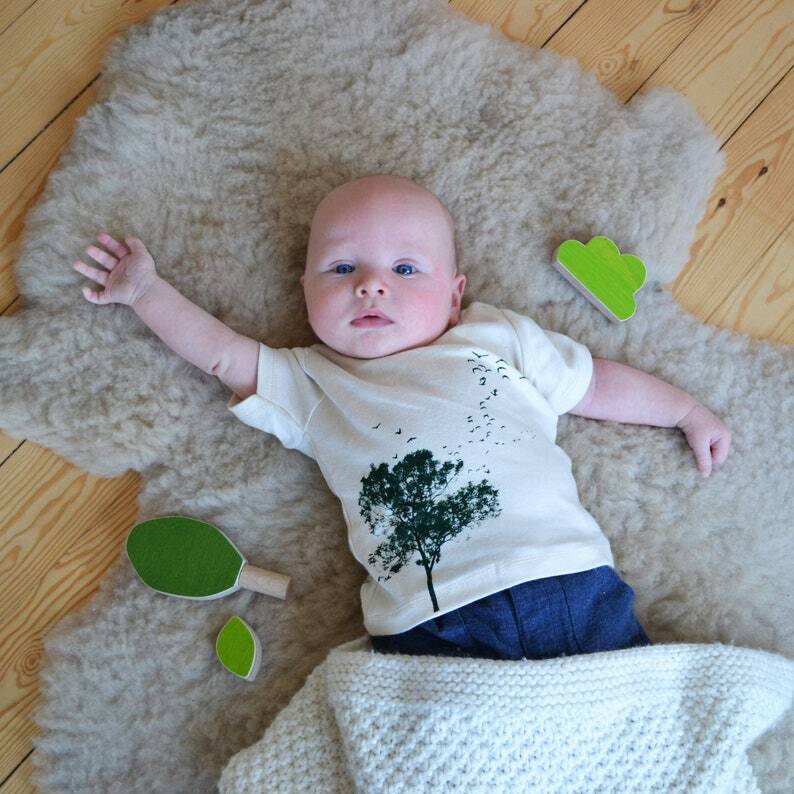 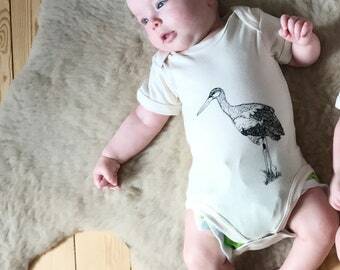 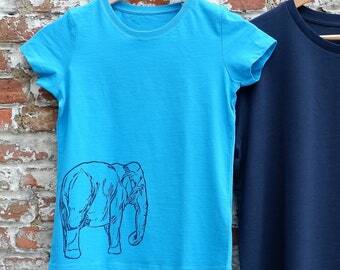 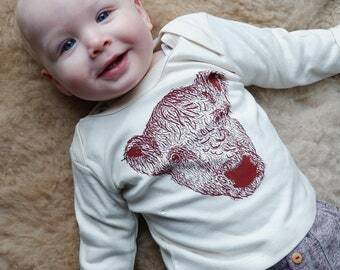 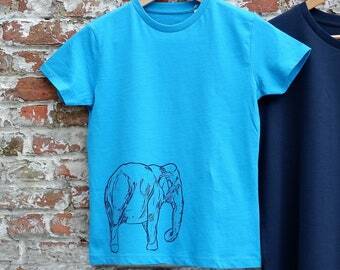 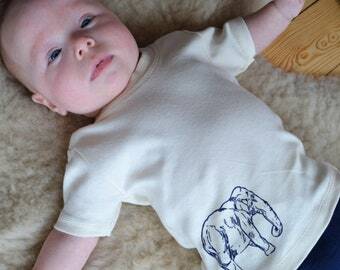 It is made from 100% organic cotton and 100% fair trade for a kind baby with a fair wardrobe. 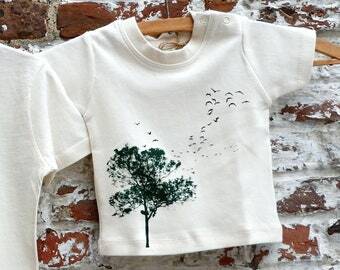 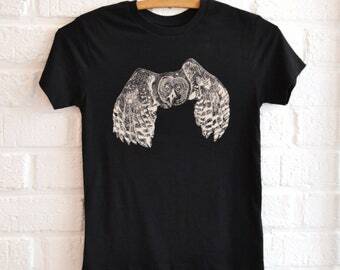 The 'Tree and Birds' print is an original Art Effect Prints drawing/design and is screenprinted on the T-shirt with dark green water based eco-ink. 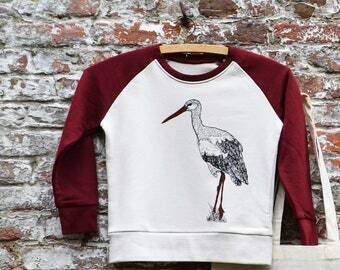 Printing is done here in Belgium, Europe. 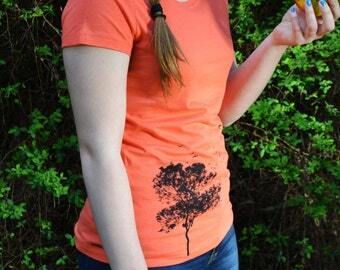 Wash this T-shirt 30°C to keep the print and the T-shirt in the best condition.